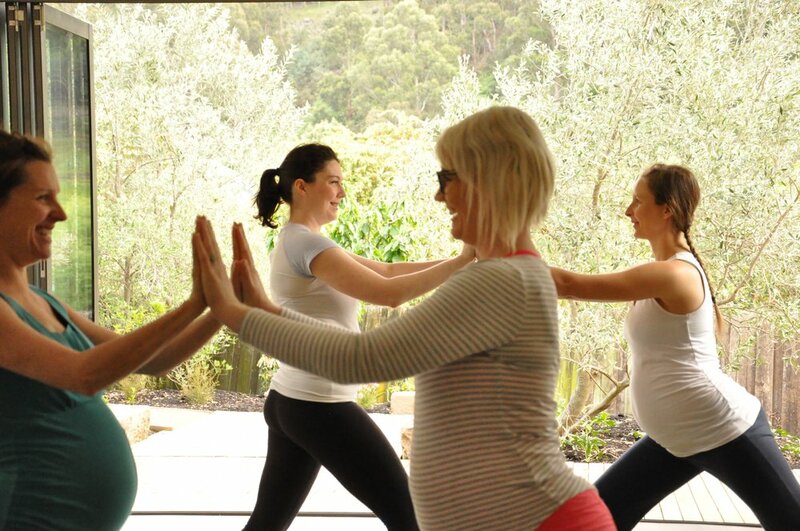 The practise of yoga can greatly enhance your sense of health and enjoyment during pregnancy. Gentle stretches help release physical discomfort and keep your body toned whilst many of the yoga postures are energising and may be used to encourage a natural, active birth. The focus on breath awareness and deep relaxation will help you cope with the emotional changes you experience, encourage you to tune in to your intuition for labour and empower you to cope with the intensity of birth. Interwoven into each class are themes integral to the experience of wellbeing during pregnancy and birth. These include trusting your innate wisdom, connecting with the presence of your baby, embracing your pregnant form, postural alignment, optimal foetal positioning, finding a positive resolve, pelvic floor awareness and acknowledging and releasing fears. The course also provides the opportunity for women to share stories and feelings about pregnancy and birthing in an open, supportive environment. This course is open to you at any stage of your pregnancy with no previous experience of yoga necessary. Many women choose to commence classes early in pregnancy and continue up until the arrival of their baby.